When functionality meets sustainability. The Open One 3L Shell Jacket has been designed from scratch on with both functionality and sustainability in mind. Water-resistant. Strong. Durable. Keeping you and your pockets dry. The zippers are extremely strong and durable. Making sure you will always be able to easily open your jacket and safely store your belongings. Pockets — Bring what you want. Five outside. Two inside. We've designed the Open One 3L Shell Jackets so you can keep all you quickly need at a close distance. No need to take off your backpack for every little thing you need. Hood — Helmet and storm proof. One hand three point adjustment system. Safety first. So always wear a helmet while riding. Therefore we made sure your helmet fits under your hood, so you can ride the stormiest days of the season with full pleasure. For additional safety we've added RECCO into the visor of the hood. Best of all, you can fully adjust the hood by pulling with just one hand. Powder proof — We love fresh snow. Just not under our jacket. 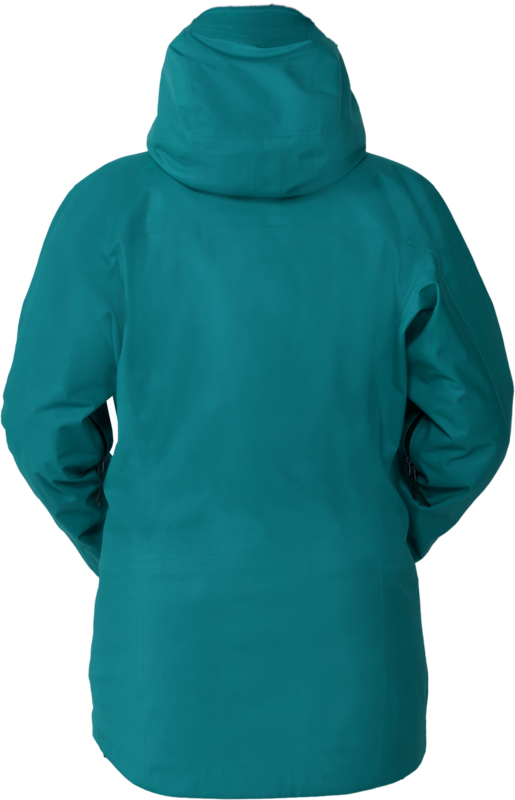 The jacket is completely designed for the deepest powder days. Slightly longer fit. Removable powder skirt with belt loops. Removable lycra cuffs. All to keep the deep snow from coming under your jacket. Easy GPS access — Sometimes you just want to quickly check your GPS watch. GPS and smart watches can be great on the mountain. Quickly check your watch to know your position, altitude, hiking time or read a message of a friend. We redesigned the lycra cuff so that you now can always easily check your watch. Cohaesive — The most convenient way to adjust your cords. Sometimes you just want to be able to quickly tweak the fit of your jacket while riding down. No problem, with the innovative Cohaesive Cordlock System you can always adjust your jacket. With one hand, even when deep pow. Wash & care — Easily take care of your jacket to keep optimal performance. Keeping your jacket clean and fresh. You can wash it regularly to keep the optimal functionality. Fill in the three sizes below and find your best fit or use the size table below. Chest – Measure around the fullest part of your chest, place the tape close under the armpits and make sure the tape is flat across the back. Sleeve length – Measure from the top of your shoulder to the knuckles of your fingers. Alternatively, take a similar jacket and measure the sleeve length from the shoulder to the cuffs. "Smart technical solutions and good quality. Prepared for all weathers!" 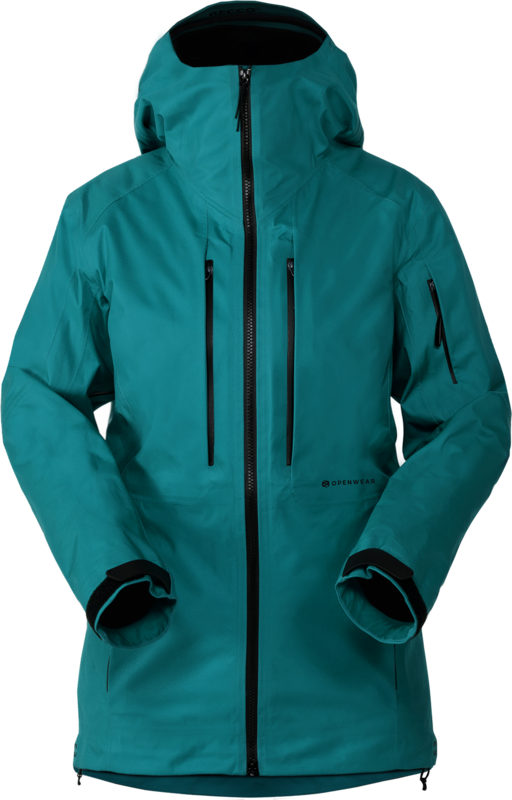 "This is my everyday jacket - From spring touring to the deepest pow days." "I love the cold but I hate to be cold. I was never freezing this season!"